(Jefferson City, Mo.) Are you looking for unique story ideas? Missouri wineries and wines are popular search topics for audiences across the Show-Me State. There are several reasons why Missouri wine country is kind of a big deal and deserves to be highlighted. 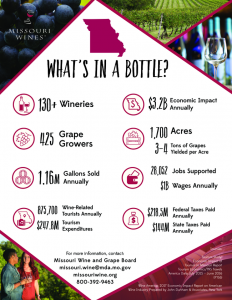 The Missouri wine industry has a huge economic impact on the state. How huge? $3.2 billion. Missouri wineries employ more than 28,000 people with total wages equaling $1 billion on an annual basis. Each year, more than 875,000 tourists visit our wineries. These visitors patronize businesses in local and surrounding communities, whether it’s lunch at a local diner or an overnight stay at a bed and breakfast. In addition to providing employment, our family-owned wineries give back to the communities that they call home. Consider interviewing a local winery owner and their involvement in the community. Wineries and independent grape growers tend to 1,700 acres of grapes in the state. Harvest has begun at some wineries in the state. Interview a local winery owner or independent grape grower about this exciting time of year. Missouri wines consistently receive top honors at regional, national and international competitions. Highlight a local winery and their award-winning wines. With more than 130 wineries in the state, there’s something for everyone to enjoy. You’ll find a complete list of wineries on our website. Highlight the amenities and events taking place at area wineries and wine trails in your publication. You can find many of these events on our calendar. Are you interested in featuring a story about the Missouri wine industry? Please contact us at 800-392-9463 or Missouri.wine@mda.mo.gov. 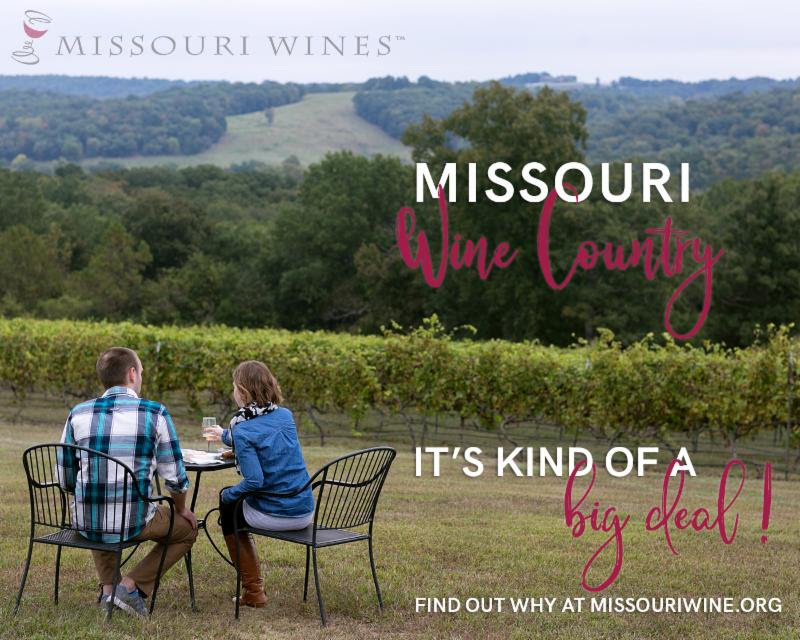 Missouri Wine Country: It’s Kind of a Big Deal!